Phantom of the Opera recently celebrated its 30th anniversary on Broadway. Peter, being the current Phantom, took part in the celebrations along with his co-stars Ali Ewoldt (Christine) and Rodney Ingram (Raoul). On 22 January 2018, the celebration week kicked off with Peter, Ali and Rodney ringing the opening bell at the Nasdaq Stock Exchange. This was broadcast on a giant screen in Times Square. Broadway.com looked back on 30 years of Phantom on Broadway. The article is illustrated with a stunning photoshoot of the three stars at the Parker New York Hotel. Click here for the article, a gallery of photos and a fun video where Peter, Ali and Rodney introduce themselves. On 24 January 2018, there was a special gala performance of the show. Our trio started the day with a ceremonial lighting of the Empire State Building. Plenty of photos were taken and some can be seen at the following links: Playbill, Theater Mania and Broadway.com. An episode of The Broadway.com Show featured coverage of the red carpet and gala performance. The segment starts at 6:34 and Peter pops up as one of the red carpet interviews. As part of the gala performance, Peter performed alongside the original Christine, Sarah Brightman and the cast of School of Rock in a rock version of the “Phantom of the Opera” song. Amazing version. The actual anniversary fell on 26 January 2018. Peter and Ali appeared on the Today Show to perform “Music of the Night”. You can see that video by clicking here. Peter continues to play in Phantom until 31 March 2018. 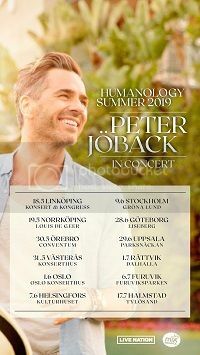 Visit the Upcoming Events section of Peter’s official site for a schedule of his appearances and links to book tickets. This entry was posted in Appearances, Theatre, TV, Video. Bookmark the permalink.